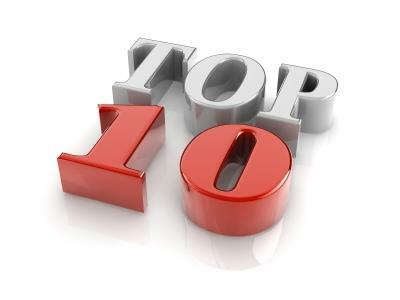 As we move into November, we bring you another run down of the top ten most popular articles on Pharmafile.com this week. Novartis' has revealed the data behind the approval of its CAR-T therapy Kymriah as it became the first-ever such treatment approved by the FDA. Gilead entered the fray weeks later with its own approval, and the CAR-T space is now heating up. We delved into this area for an in-depth feature exploring the huge promise it presents. But the most popular story this week was the news that Samsung Biologics and MSD have reinforced their biologics manufacturing and development partnership. New data on Fortasyn Connect – also known as Souvenaid – an over-the-counter multinutrient drink which claims to be able to delay the development of Alzheimer’s disease, has revealed it could actually present beenfits for patients. GSK's Strimvelis, its gene therapy treatment for adenosine deaminase deficiency or ‘bubble boy’ syndrome, has been given a positive recommendation by NICE despite the extremely high cost associated with it. AstraZeneca and MedImmune, the company’s global biologics research and development arm, have announced new Phase 3 data revealing that tralokinumab failed to meet its primary endpoints in the treatment of asthma. Novartis has announced its intention to acquire France’s Advanced Accelerator Applications (AAA) for $3.9 billion in a move to reinforce its oncology portfolio. Pfizer has released new data on its Crohn’s disease (CD) treatment Inflectra (infliximab CT-P13) which indicate that switching patients to the biosimilar from its reference pproduct Remicade (infliximab) is comparably safe and effective to treatment with Remicade alone over a 24-week period. Matt Fellows investigates how the first-ever CAR-T therapy approvals in the past months could mean the field of cancer treatment is changed forever. Pfizer is planning to launch an auction process to secure its sale and the $15 billion-plus it is looking for the unit, it has emerged. MSD has been forced to withdraw its EU marketing application for Keytruda in combination with pemetrexed and carboplatin in non-small cell lung cancer, despite the combination already gaining approval in the US back in May this year. Only yesterday it was revealed that Novartis had applied to the FDA in the same indication that Gilead’s treatment is approved in, today it revealed the data behind this decision to encroach on its rival’s turf. Samsung Biologics has announced it has expanded its strategic alliance with MSD to streamline process development and clinical material production for small biotech start-ups focusing on novel drugs.